Support is growing in the grassroots football community for a switch to a summer football season, according to the results of two new Club Website polls. Two-thirds (66%) of 1,200 Club Website members surveyed want to see all children's football moved to a March to November season, with a break for the school summer holidays, compared to less than half (47%) in favour of such a move just three years ago. A second poll found almost half (48%) of our members want to see the entire grassroots football calendar moved from the winter months - an increase of 14% on 2013 - with fewer than one in four (24%) of the 2,300 respondents in favour of keeping the season exactly as it is - a decrease of 9%. As in 2013, one in five people (19%) don't want to see a move to summer football but would welcome a winter break. The results demonstrate a shift of attitude towards changing the grassroots calendar in recent years. After successive winters beset by pitch problems, none worse than this season - which has seen many teams go months without a game - the majority of the grassroots public now want to see radical change. This view was supported by the recent grassroots football survey carried out by Genesis Sports, which found 73% of more than 1,100 respondents in favour of extending the season to play in May/June and 77% in favour of a winter break. The frustration of recent weeks has lead to many taking to social media to share their grievances over the current structure of the game. "Getting really fed up with this weather now," commented Steve Cooper on our Facebook page. "One game played in eight weeks. And Wenger has said that we will have a £100 million player soon with the extra TV money. That would buy another 150 odd 3G pitches for starters. So much for investment in grass roots football." Hannah Proctor was similarly frustrated, saying: "It's just not on. My daughter u13 team have played one game in over three months! Pitches are never going to be playable before the season ends." She was not alone. Our latest poll suggests that almost three-quarters (72%) of grassroots teams have had at least four matches cancelled this winter, with a staggering one in four teams (25%) missing out on no less than 10 games. So what is the solution to this annual problem? One league to have done something about it themselves is the Bolton, Bury and District Junior Football League (BBDJFL), who last month announced a move to a summer season from March 2017 - a move backed by its member clubs. The league faced stern criticism from other sports who felt that the move would impact on their playing numbers but, after coming together for discussions on the issue - including a live radio debate - all parties have agreed to work together to achieve the best outcome for all sports. So where there is a will, there is a way and Football Association rules allow any league across the country to implement a similar change, if it works for them. But if you're hoping that leagues across the country will soon be asked to follow suit, you may be disappointed. Whilst the FA say they welcome debate on the issue, they show no sign of taking steps towards a wider rollout. "Any individuals or organisations that are working for positive change within football should be commended and positive, constructive debate on how to improve things is always welcomed," an FA spokesperson told Club Website. "Of course whether there should be wholesale changes or a degree of license among clubs and leagues to act autonomously is up for debate, but it is certainly a debate worth having. "Some regions will be more affected by adverse weather conditions in the winter than others. Likewise, some will see greater value in a change in the fixture calendar than others." In other words, don't hold your breath folks. 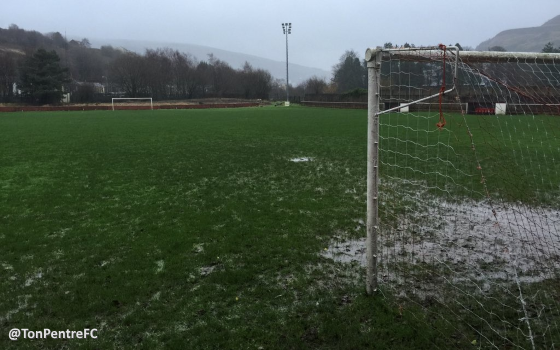 With 3G pitches still in scarce supply and too expensive for many, the usual British weather is likely to cause problems to the grassroots football season for years to come. 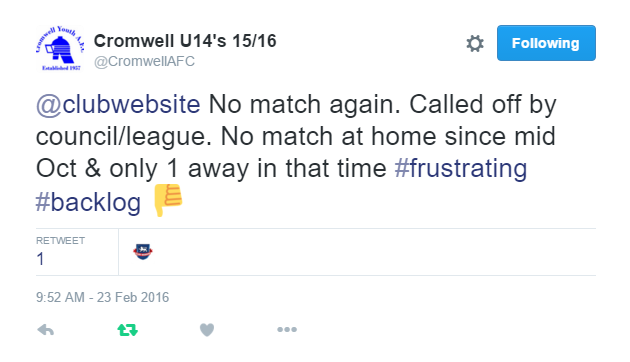 But if you want to get out of the usual cycle of cancelled matches and fixture backlog come March and April, you'll need to get talking to your fellow clubs and your league and make the change happen yourselves.